The CSA, Huguenot Springs Confederate Cemetery was surveyed on June 16, 17 and July 21, 1996 by Catherine Lynn Nowery and Sharon Lee Nowery. 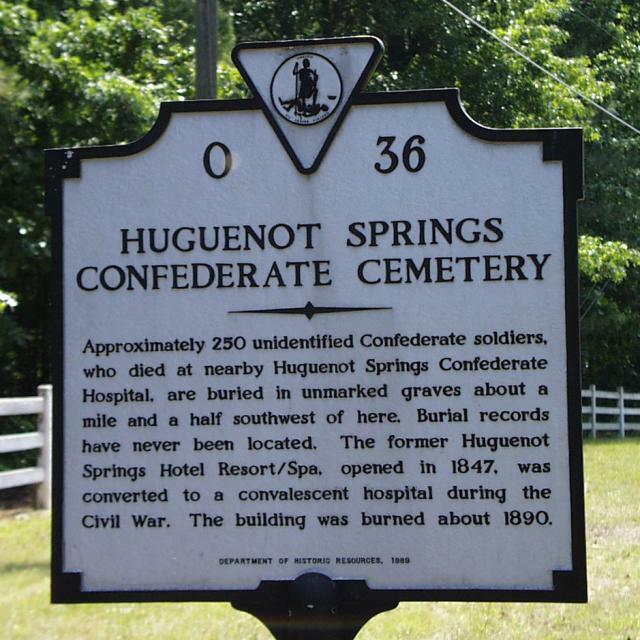 The cemetery is located 1/10 mile down Old Confederate Cemetery Road off Huguenot Springs Road. Of the approximately 250 Confederate dead buried at the cemetery, tombstones for 92 could be found.